Mosaics are one of the most extravagant and luxurious products we offer at Porcelanosa. It is a great choice for walls and floors due to their texture, structure and vivid colors. Installing a mosaic anywhere in the house is like owning a piece of fine art to constantly look at; however, applying this type of tile in the bathroom can definitely create a very modern and artistic environment. Mirrors are mandatory accessories to have in a bathroom, and at Porcelanosa we know that a bathroom without its mirror loses strength and appeal. Therefore, we offer a wide variety of products from the most simple and traditional mirrors to a decorative line with modern designs that make this product line stand out. 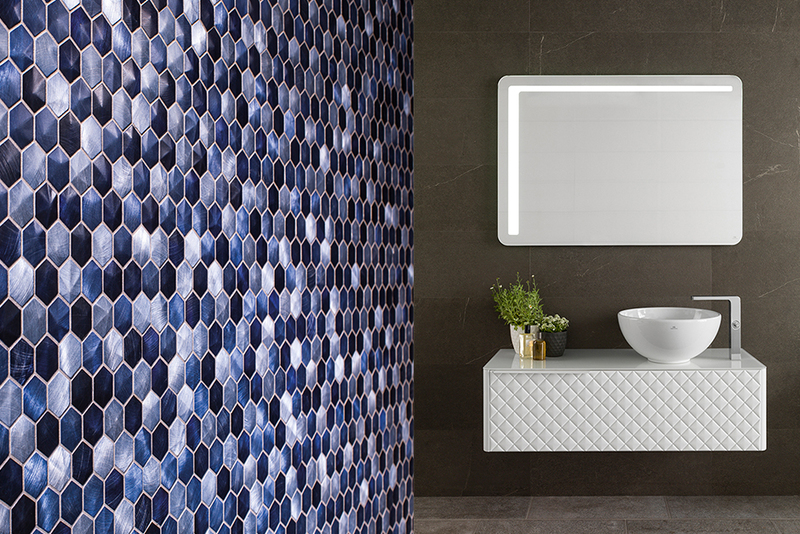 This ceramic mosaic tile made of small pentagonal pieces with different shades of blue is perfect for those energetic customers who want to create an electric atmosphere in their bathrooms. Reason why the LOUNGE Mirror, our most futuristic and luxurious mirror fits in perfectly. We believe our most contemporary clients will love this recommendation. 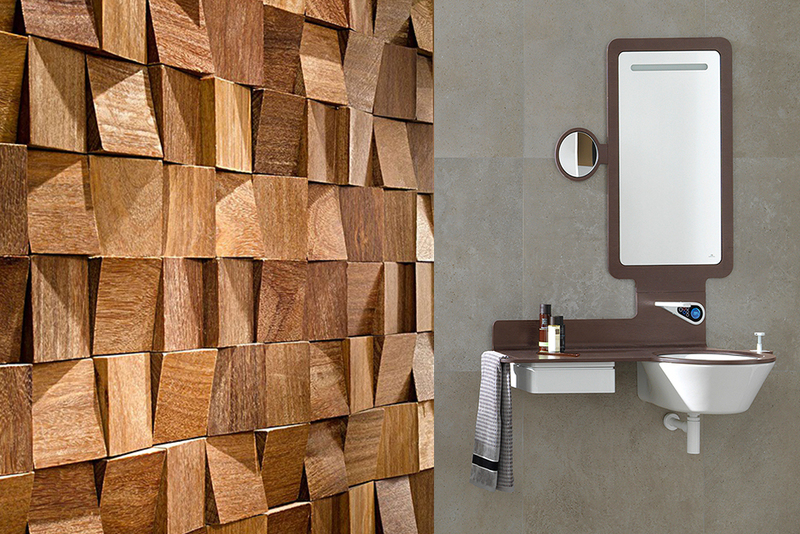 This dimensional wood-like mosaic combines the best of both worlds: the beauty of nature with a pinch of structural modernism. 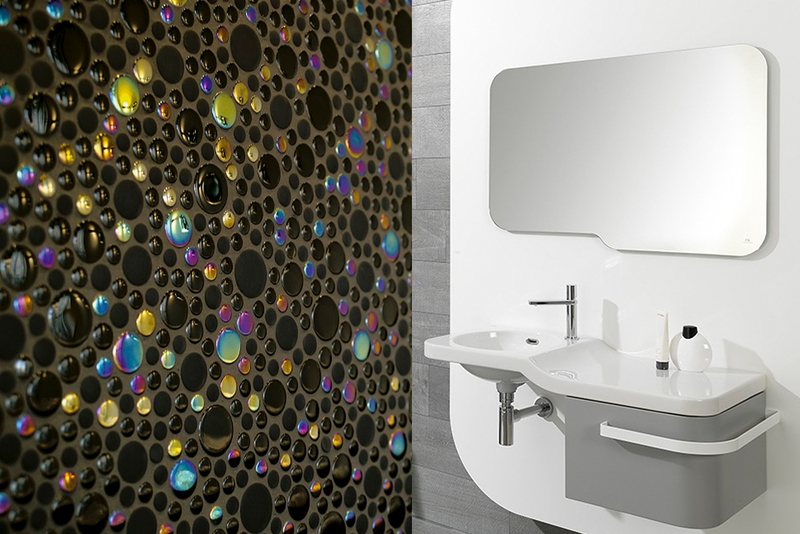 To make it more high-style, we recommend the MOOD Magnifying Mirror that can incorporate a wood frame with the mosaic and a sliding system which makes it highly functional. The composition of this translucent glass tile has a plane base and many round figures of different sizes that somehow can create a galactic atmosphere. 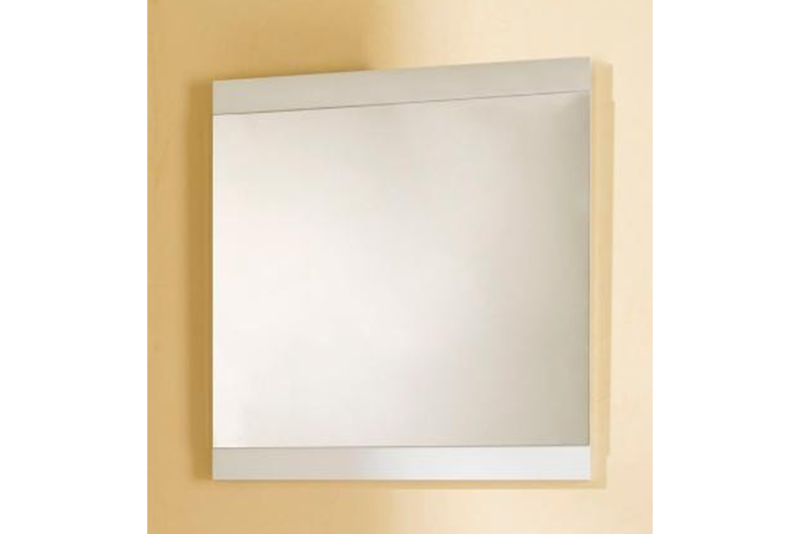 In order to break this round uniformity, we recommend the FORMA 39” X 25” Mirror, a rectangle with rounded borders. To learn more about FORMA 39” X 25” Mirror, read our article “Half Bath, Full Impact” in our news section. 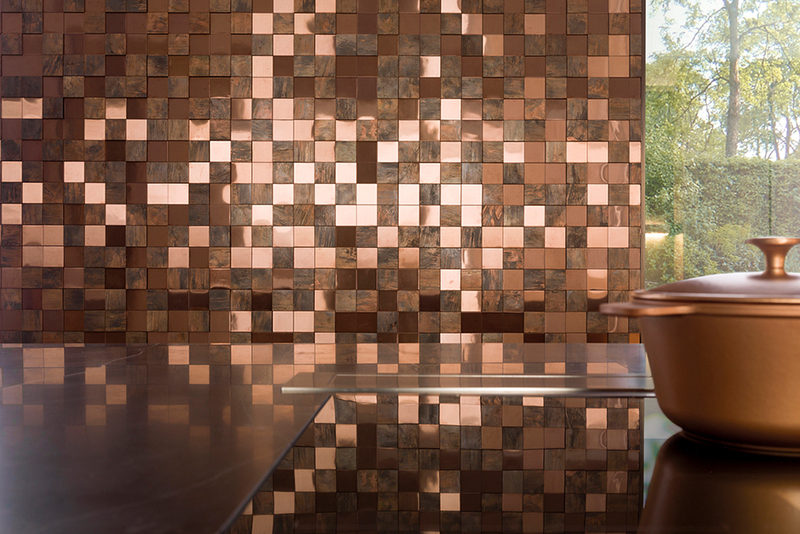 Metallic mosaic is used to line residential wall coverings. It shows a brown and maroon color combination made of squared tiles where some project from the wall more than others. CHIC Mirror is our recommendation with a simple square design and much accentuated borders. If you would like to see what other products Porcelanosa has to offer, click here!